Robert A. “Bob” Blouin is the Dean and Vaughn and Nancy Bryson Distinguished Professor of the UNC Eshelman School of Pharmacy at the University of North Carolina at Chapel Hill. Dean Blouin also serves as the Director of the Eshelman Institute for Innovation that was created following a $100M gift from Dr. Fred Eshelman to pursue high-risk, high-reward ideas that advance innovation in education, research, and healthcare. Prior to his July 1, 2003 appointment as Dean, he was a long-time faculty member and administrator with the University of Kentucky College of Pharmacy. During that period, Dean Blouin served as the Associate Dean for Research and Graduate Education (1997-2003) and Executive Director of the Office for Economic Development and Innovations Management (2000-2003). During his fourteen-year tenure at UNC, the UNC Eshelman School of Pharmacy has experienced unprecedented growth in its research, education, and global engagement programs. The School is recognized as one of the premier pharmacy programs in the world as evidenced by its rankings with U.S. News & World Reports, QS World University Rankings in Pharmacy and Pharmacology, and AACP Grants and Contracts. In addition, the School successfully launched a unique and innovative professional degree granting partnership program in Asheville, NC, which focuses on ambulatory care and rural health. The School has been involved in the development of several new school-based research centers (Center for Integrative Chemical Biology and Drug Discovery; Center for Pharmacogenomics and Individualized Therapy; Center for Medication Optimization through Practice and Policy; Center for Innovation in Pharmacy Simulation; and Center for Nanotechnology in Drug Delivery). To support this growth, the School has been successful in significantly expanding its footprint on the UNC campus through the construction of two new research buildings, Genetic Medicine Building and Marsico Hall, in collaboration with the UNC School of Medicine. 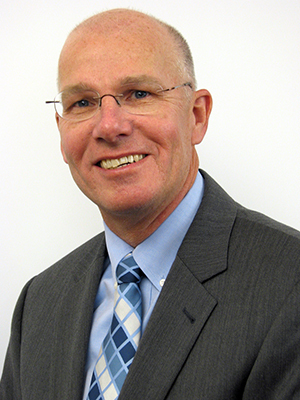 Dean Blouin led an effort to reengineer the School’s business operations. This includes the creation of an integration business management software program called InfoPorteTM, which has been adopted by the entire university as the interface dashboard for all business systems. Dean Blouin has received many awards and recognitions including the 2016 ACCP Paul F. Parker Medal, the Ohio State Milap Nahata Distinguished Lecturer Award, the University of Kentucky College of Pharmacy Hall of Distinguished Alumni Award, and the University of North Carolina General Alumni Association Faculty Service Award. He has been selected as a Fellow of both the American College of Clinical Pharmacy (ACCP) and the American Association of Pharmaceutical Scientists (AAPS). Dean Blouin has led a national discussion on the issues of clinical pharmaceutical scientist training, particularly at the graduate level. He has been extensively involved in launching a transformation in the professional and graduate curricula at UNC coined the Educational Renaissance. Dean Blouin’s research interests include studying the effect of disease and altered physiologic status on the pharmacokinetics and pharmacodynamics of drugs.